2013 Renaissance Festival Podcast Awards!!! "Great show today! You made the 2+ hour wait on I-75 worth it! See ya nest year!" 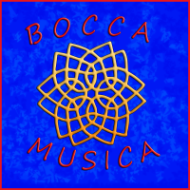 "As usual, the Bocca experience mostly defies description... so we will just call it excruciatingly amazing." "Amazing shows last weekend. You guys are fantastic. I can't believe your harmonies and you're funny as hell. I also love the new CD!" "Had a fantastic time at the Michigan Renaissance Festival Sunday. Saw Bocca Musica and laughed our asses off, and was so thrilled to get a hug from Coco McLeod that I couldn't stop beaming the whole way home. Love the great memories." "The most hilariously bawdy, musical, cider-soaked show we've ever seen at a festival. We can't wait to catch your act again soon!" "We had a blast watching you at Pirates in Paradise! You guys are hilarious and your harmonies are amazing!"